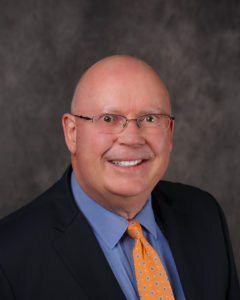 Michael Kehoe is a commercial real estate professional with over 40 years of experience in the retail real estate field. He has an international profile related to retailing, commercial real estate leasing, marketing and shopping centre management. Kehoe is the broker/owner of Fairfield Commercial Real Estate based in Calgary. He worked for many years as a mall manager, marketing director and retail leasing executive. He is an ambassador for the New York-based International Council of Shopping Centres, with whom he has been a member since 1982. 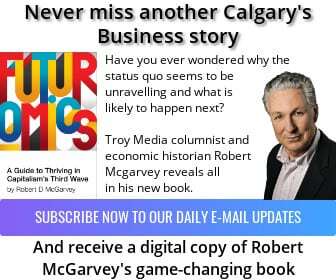 He spoke to Calgary’s Business about the current retail market in Calgary. 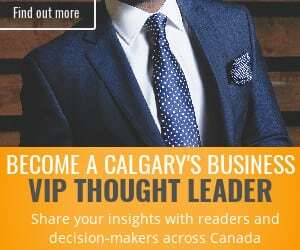 Calgary’ Business: How would you describe the current retail industry in Calgary? Kehoe: As we head into spring 2018, the greater Calgary region is experiencing relatively flat sales levels that are okay as opposed to being down year over year. Traffic and foot fall at retail venues across the region are also in the ‘okay’ column, driven by continued modest population growth tempered with soft levels of consumer confidence. Vacancy levels and rental rates in this tenants market are also okay with retailer sentiment in cautious mode. All of this leads to a business environment that I call “The Goldilocks Economy” – not too hot but not too cold. The levels of taxation and high levels of shopping centre occupancy costs across the board are not okay. CB: What do you expect for the rest of the year and why? Kehoe: The balance of 2018 will see modest gains in sales and consumer traffic at shopping venues across the region with many retailers and food service providers in survival mode. Calgary is a resilient city and new retail development, or redevelopment, continues across the region, albeit at a more modest pace. A continued lack of consumer confidence will keep a chill on the local retail scene. CB: They say e-commerce is killing bricks-and-mortar retail. What do you think? Kehoe: The perceived demise of bricks-and-mortar retailing is vastly overstated and a false mass-media narrative. Bricks-and-mortar retail stores are the blue-chip workhorse of any retail enterprise. 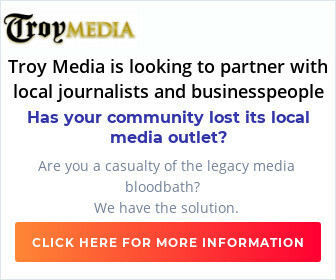 You can learn more at the International Council of Shopping Centres (www.shoppingforthetruth.com). Many e-commerce retailers are opening bricks-and-mortar stores integrating the in-store and online shopping experiences. CB: How are shopping centres different today than they were a few years ago? Kehoe: Shopping centres are always changing. I have the benefit of having 60 years of observation of this change and all I can say is hold onto your hat as the pace of change will continue to accelerate. We will continue to see retailers opening fewer stores with smaller footprints. Many shopping centres will continue to add non-retail components into their tenant mix such as entertainment, fitness and medical-wellness. Retail landlords need to recognize new opportunities during widespread disruption and change. They constantly need to be figuring out who the retailers and restauranteurs of the future will be and how they will use physical bricks-and-mortar facilities as part of their business. CB: What retailers are you expecting to join the Calgary market in the near future that are not here now? Kehoe: With the soft economy and economic uncertainty of low oil prices, the lack of pipeline access to world markets and various levels of business-unfriendly governments, Calgary has been a fly-over market for many retail brands for the past four years. I am seeing a slight change on this front with several national and international brands looking at Calgary again. A select few luxury retail brands, led by Louis Vuitton, will open new stores in prime retail venues later this year. It is a tenant’s market and there is a flight to quality locations.